Do you ever wonder if anything that comes out of a brand’s mouth is true? You know they lie to you ALL the time to sell you crap you don’t need and, often, doesn’t even work. And you’ve learnt to smell the BS a mile away. You’re getting smarter. But so are they. Some of the stuff they say seems so logical and realistic, but when you dig deeper, they’re just subtle and cunning lies that bend and twist the truth just enough to pique your curiosity and part you with your money. Chemicals are all toxic and poisonous and if you put them on your skin, they’ll give you cancer or another horrible deadly disease. Brands that use them know this and they don’t care. They’re willing to kill you to get your money. Unlike those natural and organic brands that charge you a premium for “safer” products. Those “really care”. Everything made of matter is a chemical or a mixture of chemicals. Yep, water is a chemical. Aloe vera is a chemical. All those other natural extracts in your lotions and potions, they’re all chemicals. Heck, even your body is made up of lots of different chemicals. It doesn’t matter if an ingredient is derived from nature or made in a lab, it’s a chemical. You want a real chemical-free moisturizer? Get an empty jar and write the word moisturizer on it. Oh wait, even the jar is made of chemicals. Hard luck, sorry! You know those wrinkles on your face? They’re gonna look smaller. This is sort of true. Most creams contain either silicones to fill in wrinkles, hyaluronic acid to plump up the skin, or brightening pigments that allow your skin to better reflect the light. Those are all things that are gonna reduce the appearance of wrinkles. Appearance is the key word here. These products can’t make wrinkles smaller. They can just make them look less obvious. For a little while. Once the effects of the cream rub off, your wrinkles will be there, as deep as before. This product or natural extract (it’s almost always a natural extract, isn’t it?) is gonna solve all your skin and hair problems. You know that little word, helps? That’s what brands use when they want to make you believe that a product or extract does more than it actually does. It’s like, you know when you’re trying to lose weight and they tell you this type of tea or whatever will help you? Well, that may or may not be true, but if you’re a couch potato who dines on junk food every night, the tea alone surely won’t work. It’s the same for cosmetics. Most moisturizers can’t reduce wrinkles, for example. But they could help if you lead a healthy lifestyle. Or, take natural extracts. Let’s say apple. That’s full of antioxidants, so it can fight wrinkles, right? Only if they put enough apple in the cream. Too often they don’t. But it doesn’t matter. They didn’t say that apple would fight wrinkles, only that it would help [the formula? your healthy diet?] fight wrinkles. Basically, proving that a product can help do something is easier than proving it actually does that something. A brand just has to add the word “help” in its marketing copy and it can literally get away with making any claim it wants. If it’s natural, it’s safer. You can buy from us, we won’t kill you or your children. Natural means nothing. The term isn’t regulated in any way. That’s why a lot of synthetic stuff almost always finds its way inside natural products. 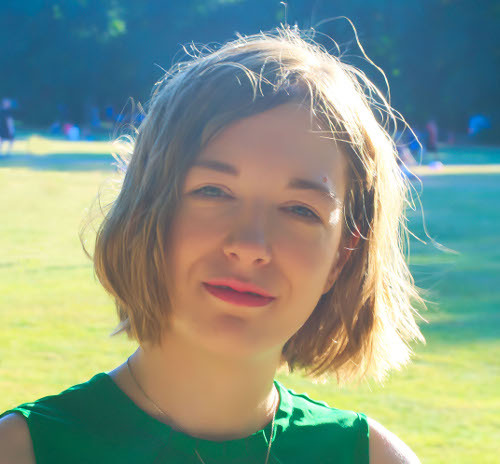 By the way, what does natural mean anyway? Some natural ingredients have to undergo chemical processes to remove allergens or to extract a certain oil or whatever from them. Are those still natural for you? These products are gentler and will never cause an irritation to anyone. Not even to super sensitive skin. BS. Hypoallergenic doesn’t mean anything. The term is not regulated in any way. Brands can stuff these products with allergens and still claim they’re hypoallergenic. What a joke! Related: Are Hypoallergenic Products Really Safer? These products are formulated at the right ph for your skin, so they work better and are gentler to boot. All products are made in a range that is compatible with the neutral ph of the skin. And why would it not be so? Get the ph wrong and you’ll give someone an irritation. Or dry out their skin. That’s hardly good publicity for your product, is it? It’ll make your hair less prone to breakage when you comb it. Sort of. These products usually use silicones to smooth out the surface of your hair. That makes the comb glide through your locks so smoothly. And yeah, that will cause less hair to come off while combing than if you had to tug and pull to get through a knotty mane. But if your hair’s damaged, nothing can repair or make it stronger. 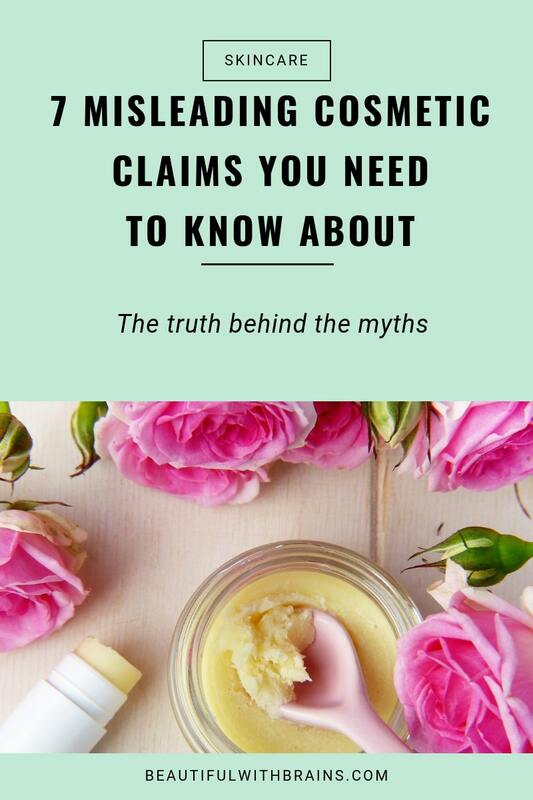 Sign up to my newsletter to receive the "Misleading Cosmetic Claims Cheatsheet" and find out more ways beauty brands trick you into buying their products. Success! Check your email to confirm your subscription, so I can send you your free copy of "3 Misleading Cosmetic Claims." What misleading claims bother you the most? Let me know in the comments below. The chemical one always bothers me because it suggests that synthetic chemicals are the devils spawn whereas natural things are beautiful and lovely (I can forgive non-scientists for only associating chemical with the synthetic variety). It’s the same kind of thing that suggests that synthetic variants of chemicals aren’t as good or are more dangerous than naturally extracted counterparts, which is by and large utter rubbish and often the opposite is true. Admittedly as a chemist I do get a bit personal about it. Katie, that really annoys me too, and I’m not a chemist. I can imagine how much it annoys you. I completely agree with everything you said. Natural isn’t better than synthetic or vice versa, it just depends on the ingredients. Some are good, some are bad, regardless of their origin. It’s a shame the word chemical has acquired such a bad reputation, as a lot of chemicals are very good for us.